As it stands right now, there are no fewer than 50 different Android tablets on the international market, many from competitors you've probably never heard of unless you regularly shop in Chinese electronics shops, so differentiation is of crucial importance. At IFA 2011 in Berlin this week, quite a few new Android tablets were either announced or launched, and each of the top-tier manufacturers who debuted a new product seemed to have homed in on a specific quality that they've improved over previous generations or over their competitors. 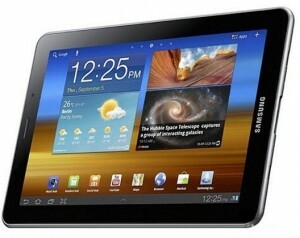 The Samsung Galaxy Tab 7.7 is a refresh of the 7-inch model the company debuted last year. While it did get bumped up in size and screen quality, the main improvements to the device are in speed. Instead of a single core 1GHz processor, it now has a dual-core 1.4GHz processor, and its 3G connectivity has been bumped up in speed to 21 Mbps HSPA. When HTC debuted the pocketable Flyer earlier this year, I made the case that it would be an excellent cloud notepad. 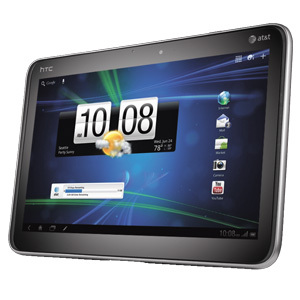 But this week, HTC released a much bigger (and much more expensive) 4G tablet called JetStream. It's got the same processor as the Flyer/View, but brings HTC up to the big tablet class and ditches Gingerbread for Honeycomb in the process. This week, Toshiba debuted its second Android tablet, the AT200, a 10.1-inch Honeycomb device that not only shaves off the excess girth of the Thrive (Toshiba's first attempt at Android tablets,) but it actually manages to be thinner than Samsung's Galaxy 7.7. Like the Thrive, the AT200 is rich in I/O, with a micro USB and micro HDMI jack for hooking into home theater systems and media players. Lenovo is still new to the Android tablet market, and in this humble journalist's opinion, didn't do such a great job making its new products exciting or memorable. 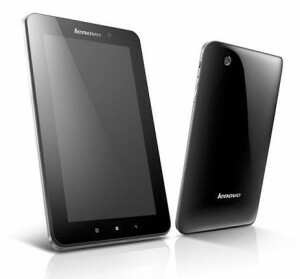 However, with the new 7" IdeaPad A1, it is breaking in the easy way: by being the cheapest. At only $199 for its base model, the IdeaPad A1 will be the cheapest new Android tablet out there with a big brand name. Sony, now somewhat late to the Android tablet game, opted to make a splashy design entrance with the Wedge-shaped Vaio S, and dual-screen clamshell Vaio P. Outwardly they are instantly memorable, and since Sony has a pretty commanding retail store presence, this visual impact is important.